The left back spot is probably one of the most underrated positions in football. Often a good left back isn’t recognised at all, as he does his job quietly and solidly. But in world football, talented left full backs are a rare commodity, finding a left back who can defend exceptionally and attack well is one of the biggest challenges a manager can face. Indeed, the Premier League is blessed with many talented, but different left backs. But who is THE BEST LEFT BACK? Is it possible to put your finger on one left back and think, ‘yep that’s the best left back in the Premier League?’ Maybe, we shall have to wait and see. Defensively it’s clear some defenders are better at certain defensive duties than others. Take Newcastle’s Ryan Taylor, he has won only 47% of his ground duals. But conversely, a tackling win ratio with 76.32%. The contrast in statistics is due to various aspects, such as the players playing style and the way the player is tactically asked to his job also has an effect on their statistics. For example, if the player is asked to close down often from full back position, this could mean his ground dual ratio will be higher than left backs who are told to not close down as often. A player whose defensive statistics stand out quite vividly are Maynor Figueroa’s. The Wigan left back has won 67% of his ground duals. He also has a high dominant aerial dual success rate too. It’s clear physically; Figueroa dominates his oppositions and he is tough to get past. But the Wigan man’s reading of the game is impressive too. Figueroa has a considerable interception rate within the season too (67 interceptions). If Maynor Figueroa moved to a bigger club, and a club with better defensive players around him, I’m sure he will be a player whose defensive work will be more recognised. But at the moment, his defensive statistics are amongst the best in the division for left backs. The left backs at the bigger clubs in the Premier League are intriguing to compare. Jose Enrique really dominates. The Spaniard has the highest tackle success ratio with 82.35%. While the Spaniard also has the third best aerial duals percentage (56%) and an impressive ground dual win percentage (58%). Jose Enrique’s opposite number at Man United Patrice Evra, has the second highest tackle success ratio, with 75.81% of his tackles being successful. 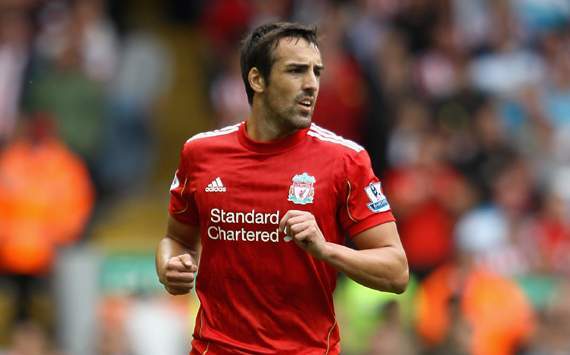 But like Jose Enrique, he also has the third highest ground dual ratio. Perhaps this is a sign Patrice Evra is still a high quality Premier League left back. 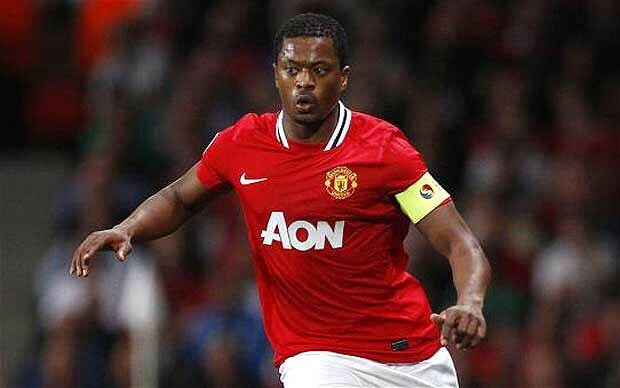 Evra has been subject to much criticism this season for his defensive performances. But the reality is, as the stats show, he is still one of the leading left backs in the division. 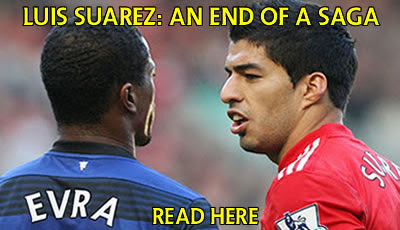 It comes as no surprise given his defensive showings that he’s still highly favoured by Sir Alex Ferguson. England’s first choice left back and the often tagged Premier League’s ‘best left back’ Ashley Cole’s defensive statistics are relatively decent. However, if one thinks Cole is the outright best left back in the Premier League, it has to be seriously reviewed. The Chelsea man has won 72.41% of his tackles, which is the third worst. But in comparison to Cole’s direct competition in the England team, Leighton Baines, Ashely Cole’s defensive statistics are actually quite decent. But for Leighton Baines, his defensive statistics are very poor. The defender has the second worst tackle success win percentage. Furthermore, his aerial dual success ratio is utterly woeful. Baines has won a mere 39% of his aerial duals. It’s clear defensively, Baines must improve if he is to be seriously considered as good enough to fill the shoes of Ashley Cole. But, one must consider Baines is probably the most offensive left back in the division. This means it more likely that his defensive stats will not be as solid as the likes of Figeuuroa, as he is continuously flooding forward continuously, because of his attack minded mentality. But it is crucial Baines masters the balance between the two. Now, what makes a full back fantastic is what he can offer offensively as well as defensively. In the modern game there has been a huge demand for full backs that can both attack and defend competently. However, finding talented left backs left backs like this on a global scale is very hard. A modern full back needs great technical strength, great physical strength and great stamina. A majority of the left backs show great competencies going forward. All of the left backs have created 10 or more chances for their sides. However, some have created far more and have been more offensively influential for their respected side. Take Leighton Baines, the Everton man has created 53 chances which is the best . Furthermore, Baines has the best crossing accuracy. But on the flipside, Leighton Baines has crossed a staggering 191 times, which is far far more than all the others. This isn’t surprising, given how attack minded Baines is, along with the fact he takes most of the set pieces for Everton. The left back who has been the most efficient going forward is Chelsea’s Ashley Cole. The 31 year old, has created 15 chances with 6 becoming assists. He is by far the most productive offensive full back . But what’s odd is that he has created the joint fewest. Perhaps this shows, Cole’s fantastic decision making, whereby he knows when the time is right to roam forward and create chances. Furthermore, Cole has a very decent crossing accuracy with 23% of his crosses being accurate. It’s clear that although Ashley Cole is getting on in terms of age, he is still one of the most complete left backs in the division. A player whose offensive work has been criticised quite a bit this season is Patrice Evra’s. However, the reality is, his work offensively hasn’t been that bad. The Man United left back has assisted twice this season, which isn’t terrible nor incredible. But the Frenchman has made the most successful dribbles. This shows Evra is still a tricky full back who can get past his opponent and exploit space. Indeed, it can’t be denied, Evra’s crossing accuracy has been rather poor this season. Evra has crossed 52 times with 13% being accurate, which is the worst. On the contrary, Gael Clichy has attempted one less cross than Patrice Evra, yet Clichy’s crossing accuracy. 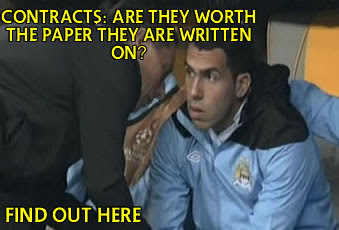 Clichy hasn’t been given much recognition in Man City’s star studded side. But this is probably because he’s only played 17 games. But Clichy statistics paint a picture of a left back that is very effective when he chooses to go forward. In addidtion, the stats show the prominence of Clichy defensively too. However, a criticism of Clichy is that he hasn’t created many chances at all this season. The Frenchman has created 15 chances with is the least along with Ashley Cole. But Clichy’s poor chances created statistic could be due to Roberto Manicni’s tactical set up. Mancini may restrict the occurrences of Clichy straying forward due to Manchester City’s heavy attacking talent, such as Balotelli, Dzeko, Aguero and Nasri. As we talk about Gael Clichy’s well roundedness going forward and defensively. Ryan Taylor is a player who shows clear strength in attacking. Taylor has created 28 chances for Newcastle. Only Leighton Baines has created more out. Taylor has assisted three times this season, which isn’t bad at all. The Full back which has really grown in dominance this season for me is Benoit Assou –Ekotto. The Spurs full back has been exceptional this season. Offensively, Assou –Ekotto has assisted the 4 times and has created an impressive 27 chances. His defensive statistics may not stand out, but they paint a picture of a left back that is comfortable and strong defensively. Is there a best left back in the division? To answer the question, the simple answer is no. It’s all a little philosophical. It comes down to what you what in your full back. Do you want them to be more dominant going forward or more dominant defensively? The player whose statistics have left me in absolute awe are Maynor Figueroa’s. The Wigan man is by far the best defensive performer. But in contrast, going forward he hasn’t created sufficiently enough. Wigan fans may point out that the Wigan man’s crossing accuracy is better than Ashley Cole’s, Evra’s and Assou Ekotto’s. But Figueroa’s apparent unwillingness to go forward makes it hard for him to be considered one of the best. However, it will be interesting to see if the player moves to a bigger club and whether this has a positive effect on the attacking side of his game. If someone asked me, which left back out of the players selected I’d pick for my team, I would pick Gael Clichy. The Frenchman offers great variation going forward through his accurate crossing and incisive passing. Not only this, his pace, positioning and reading of the game allows him to venture forward. Clichy also provides great stability defensively too, which is crucial for a full back. His statistics show he’s competent in the air and can efficiently win the ball back from his opponent. For me, the best left backs are those who are the most rounded in terms of offensive and defensive duties. The Premier League is blessed with a handful of brilliant left backs. The likes of Clichy, Cole, Enrique and Baines too an extent, are all wonderful left backs. But it cannot be denied, finding a left back who is hugely competent defensively and offensively is a great great challenge.